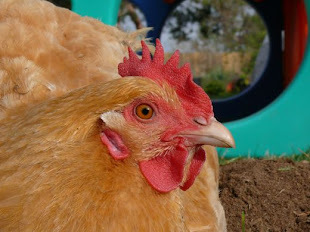 The hens are really warming up, and egg production is rolling! I don't think we are at peak production, but there have been enough to share, and that's fun to do. The colors, even the shapes, make me happy. Is that odd... to be charmed and delighted by colors? And the very dark ones, the ones laid by a Cuckoo Maran... they're very round, like a golf ball. It's adorable, for some reason. I wasn't going to post today, because 1. Supposedly I am cleaning out the office; trying to find my office, actually. And 2. I am a melancholy baby. Maybe it's the long bout with a cold, or missing my extended family. It could be the feeling that I should be doing something else. Anything else. But then I remembered rice pudding. Have we ever discussed rice pudding? I love rice pudding, but eating it feels like a game I cannot win. I wish it would taste and smell and feel like the first rice pudding I tried. It was 1970-something, in a full on hippy-palooza potluck barn dance school party when someone insisted I try her rice pudding. The pudding was steaming hot, and served from a hand-thrown clay baking dish... earth tone glaze, and heavy, deep sides. The smell of cinnamon warmed the cold night air. Nothing will ever taste like that first rice pudding. It was dense, and probably made unapologetically, without shame: eggs, cream, whole milk, butter, sugar. The top had caramelized, or glazed over... what's it called when the milk makes a skin on the surface, and it bakes like a custard, sealing in the the moist pudding? There were raisins, too, I think. Or maybe not. It wasn't runny, it wasn't dry. It was only sweet enough to be a dessert, but not so sweet that it masked the flavor of the rice, the spice, the creamy warmth. The rest of my memory is more of an emotional longing, a sensory and dream-like recollection that is as much about how I want to relive that moment, as the likely reality. I believe it was the best rice pudding I have ever had. I have not found its equal. I wonder if I should even try. In my house, rice pudding happens if, and only if, there is warm rice left over from dinner AND there is half-and-half because there were guests who would like it. (Warm rice + half-and-half + brown sugar) x nuked = rice pudding. You two make me happy! I really must get back to Spain!